Diabiolical Dewberry is now underway! During this sprint the team is continuing the work outlined in previous developer updates as well as preparing to address one of the bigger issues addressing users in recent weeks. Also, there’s some really exciting news from the contracts team! The design team has been working hard on getting all mobile designs on par with the newest changes for the UI re-design project. Additionally they’ve taken on the important task of providing a fix for an issue that has been brought up in the community over the last weeks. 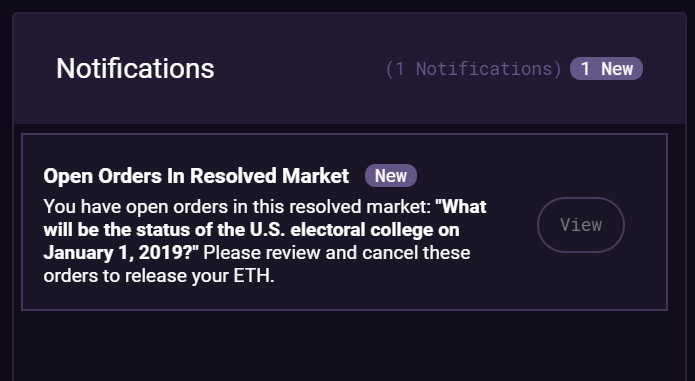 Augur App v1.11 — which will include improvements to aid with market creators understanding how timezones interact with the market end time time — will ship in the near term. This release will also include a more prominent display of when markets end to aid traders in understanding when a market’s definition is potentially invalid due to timezone or end time issues. 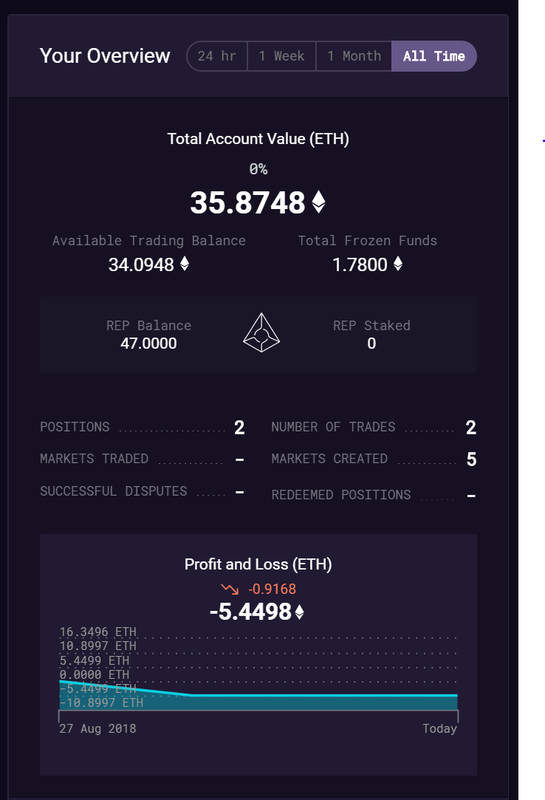 Diabiolical Dewberry contains loads of clean-up, wrap-up, and speed-up issues for the UI team on the march to v1.12 of Augur App where we’ll see a release of the new Trading, Portfolio, and Account Summary pages. 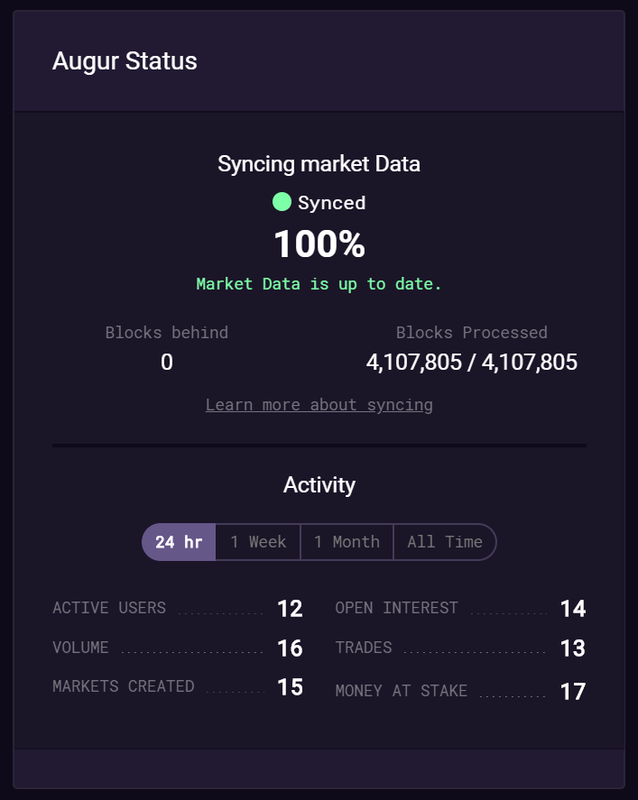 With the help of the backend team they’ve been putting the finishing touches on cool new aspects of these views, including a detailed transaction summary, summarized notifications, and Augur Platform stats. The big news for the backend team comes from contracts! This week, the contracts team is finishing up the changes and readying the first draft of v2 contracts for preliminary review! This means that feature complete is nearing for v2 contracts. The team will continue to work on documenting the contracts and implementing any improvements found during audits — as well as expand upon the API to fetch data in a permanent manner for the new middleware implementations. 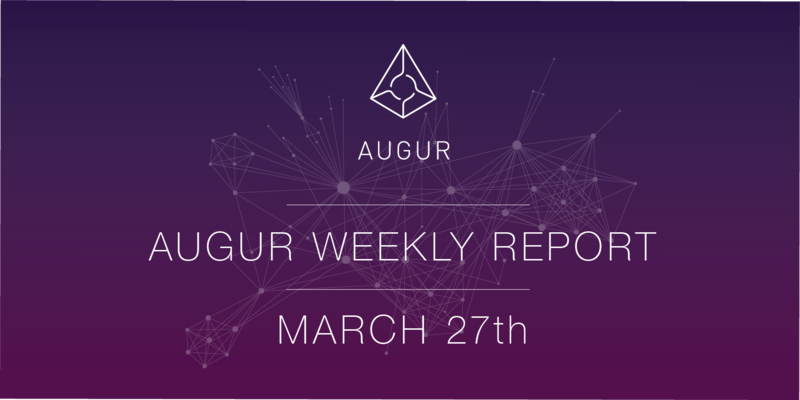 Check out the Augur Core package of the Augur monorepo for the latest contracts. Alongside this work, the backend team has been supporting the work toward v1.12 and has begun integrating Augur UI with the new middleware state components. It’s a very exciting week here to be coming up on preliminary contract audits and to see such great progress on the UI! Check out the progress of the next two weeks by following Augur on Github and checking out this sprint Diabiolical Dewberry.